By Kelly Tiberio, Manager, and Barbara Letts, Senior Manager, GE HealthCare Camden Group. In a time when healthcare organizations can shop around for risk-based contracts, the Comprehensive Care for Joint Replacement (“CJR”) mandate creates uncertainty that has hospital C-suite executives cautious if not uncomfortable. “Calculated risk” isn’t an option in the CJR mandate; on the contrary, CJR creates a new paradigm of widespread accountability for the cost of episodic care that the country hasn’t seen before. In less than three weeks, nearly 800 acute care hospitals will begin their mandatory participation in the CJR mandate. While CMS has delayed risk to begin in performance year 2 of the program, the preparation for going at-risk starting January 1, 2017 should start now. In evaluating their potential upside opportunity and downside risk as hand-picked participants in this program, healthcare executives would be wise to consider the various calculations they can—and should—be making to best understand their organizations’ probability of financial success in CJR. Consider these 10 practical calculations as your hospital or health system embarks upon the new CJR reality. For illustration purposes, the calculations in this table use a $25,000 baseline price (before the CMS discount is applied) for a lower extremity joint replacement (“LEJR”). Read about each calculation below the table. Calculation #1: The first question every healthcare executive asks about CJR is: how is this going to impact our bottom line? While the exact answer can only be reached through analysis using baseline data and CMS target pricing, what we know today is that CJR hospitals have until December 31, 2016 to figure out how to minimize their risk exposure in performance years 2 through 5 of the program. Year 4 is when the maximum CJR risk begins (capped at 20 percent). The “repayment amount” is what participant hospitals will owe CMS should they exceed their target price. Calculation #2: Luckily, the converse scenario to downside risk is upside opportunity. Starting in CJR performance year 1, hospitals can be eligible to receive a reconciliation payment from CMS if their actual performance year episode costs are lower than the CMS target price. But first, hospitals have to achieve a quality threshold in order to reap the savings. The “upside” requires participants to meet a minimum composite quality score, explained in #5 below. Similar to maximum downside risk, maximum upside opportunity is capped at 20 percent in Years 4 and 5. Calculation #4: Just as reward can be shared with collaborators, so can risk. However, the hospital has to retain at least 50 percent of the repayment obligation to CMS. The remaining 50 percent of risk can be distributed among multiple collaborators, with no single collaborator at risk for more than 25 percent of the repayment amount. “Alignment payments” from collaborators to the hospital can be as equally incentivizing as gainsharing payments in CJR: in a risk-share scenario, everyone has skin in the game. Calculation #5: Remember Calculation #2? CMS has intentionally linked reconciliation payments to quality performance in CJR. So, if your hospital achieves a windfall of $15,000 because it beat the target price but has not met the minimum quality threshold, there will be no reconciliation payment received from CMS (i.e., money will be left on the table). The quality strategy and methodology behind CJR is complex and involves two required measures and one voluntary measure. Fortunately, CMS will be managing the quality and cost reconciliation process on behalf of participant hospitals each year. But beware: don’t wait for CMS to tell you how your hospital is faring. Get ahead of your performance monitoring and understand where your weaknesses are. Calculation #6: Quality incentive payments are “payback” mechanisms that CMS has created to effectively reduce the 3 percent CMS discount taken off the top across all five performance years of CJR. In other words, the better your composite quality score, the higher your potential reconciliation payment from CMS and the lower your repayment amount to CMS. While the maximum 1.5 percent discount reduction may not seem like much of a gift, it adds up when you have 100 or more episodes as illustrated in the example below. CMS will get its 3 percent discount immediately because it is factored into the target price. However, during reconciliation, the quality incentive payment will be applied to the final reconciliation or repayment amount. Calculation #7: The total episode costs in an inpatient stay plus 90-days post-acute care can add up quickly. CMS credits many of the achievements of the Bundled Payments for Care Improvement program on the reduction of unnecessary post-acute care: reducing SNF utilization, as well as other high-cost post-acute providers, reducing readmissions, and shifting that utilization to clinically appropriate care settings. Evaluating your hospital’s utilization patterns against national and best practice benchmarks is a valuable exercise in understanding where savings can be achieved. Calculation #8: There are two categories of savings that can be accrued in CJR: internal cost savings (ICS) and positive reconciliation payments from CMS. The ICS methodology is generated, calculated, and owned by the CJR hospital. These funds do not pass through or come from CMS at any time. Hospitals are, however, obligated to report on gain share payments that may have been paid out as a result of ICS generated. (Note: gain share payments to CJR collaborators can only be made once annually, and the payment must combine both ICS and/or positive reconciliation payments into a single payment.) ICS is often generated through a number of channels, such as care redesign that impacts length-of-stay and standardization of implant costs. There is no one-size-fits-all methodology for achieving ICS, and much of the work depends on the hospital’s existing care models, physician alignment initiatives, and clinical infrastructure. Calculation #9: The adage “it costs money to make money” rings true in CJR. In building your hospital’s CJR program budget, don’t forget that you will need to invest in resources to be successful. Unless your organization is a regional Center of Excellence for joint replacements and is already well below the CMS target price, you probably have work to do. And more importantly, you need resources to actually do the work. Nurse navigators are a proven investment in episodic care because they follow your CJR patients throughout the entire episode, especially as it relates to post-acute care where many patients may fall off a hospital’s radar. Additionally, investments in data analytics software/vendor support and adaptation of existing IT infrastructure are common program costs in bundled payment programs. Calculation #10: Last but not least, the halo effect. In performance year 5, your hospital will be a well-oiled machine for LEJRs (we hope). You will have invested, redesigned, improved over and over again, and you will have probably failed somewhere along the way, too. That failure becomes a little less daunting when you consider the competency and organizational muscle your hospital will have developed between now and 2020. Why? Because now you’ve done it, you’ve learned how to truly engage your clinical staff, your post-acute partners, your community, and most importantly, your patients. You can replicate all those efforts by expanding your muscle to other clinical episodes and to other payers in your market. Because the end goal in CJR is leveling the cost landscape (picture a bulldozer driven by CMS) and increasing the quality game, your patients and your network will know your hospital is best-in-class. This assumes, however, that you are performing better than your competitors. Remember that since CJR affects an entire market, you must compete not only against CMS’s target price, but against your competitors doing a better job in achieving savings and quality scores. Your CJR experience will also pave the way for other value-based care initiatives and service line strategies your organization may be planning now or on the horizon. 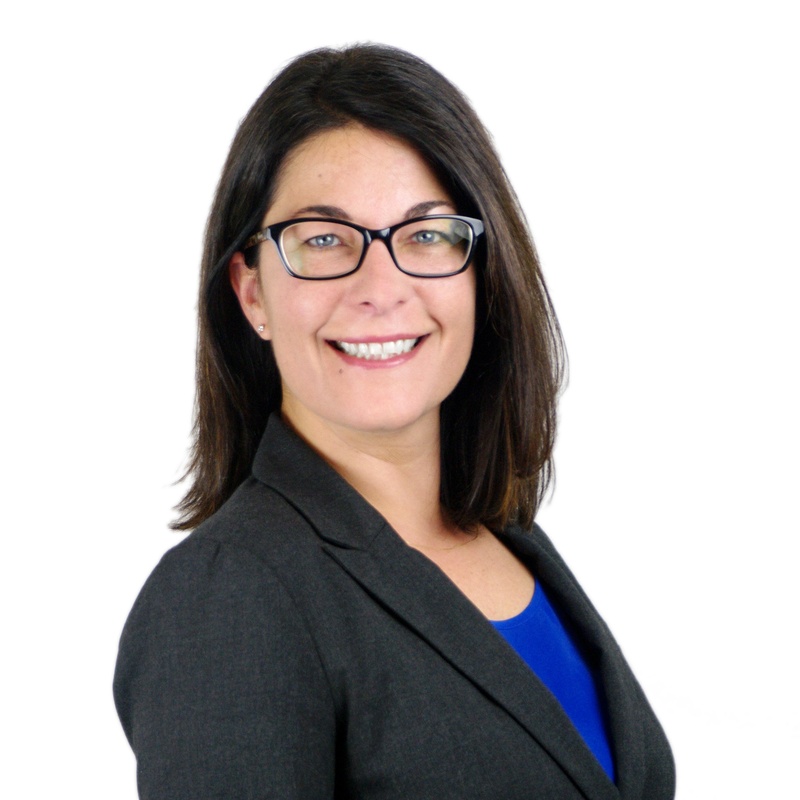 Ms. Tiberio is a manager with GE Healthcare Camden Group and has worked on a variety of projects involving the diverse, operational, and strategic needs of nonprofit and healthcare organizations. Her areas of focus include bundled payments and other healthcare and payment reform initiatives under the Center for Medicare & Medicaid Innovation. She may be reached at kelly.tiberio@ge.com. 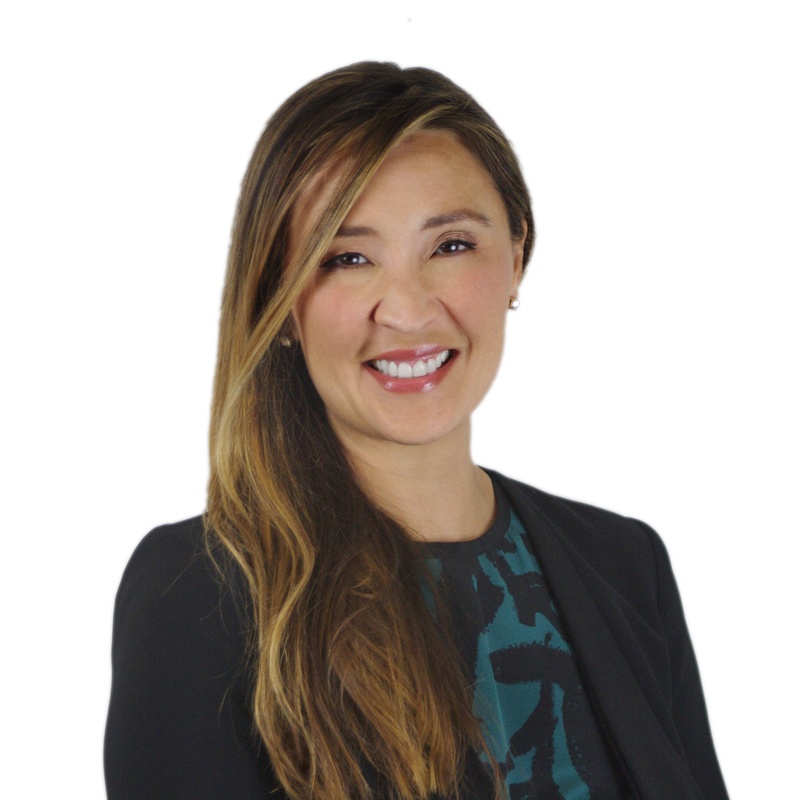 Ms. Letts is a senior manager with GE Healthcare Camden Group and specializes in financial advisory services for the healthcare industry. She has developed complex financial models for various types of healthcare entities including children’s hospitals, large public hospitals, academic medical centers, community providers, medical foundations, clinically-integrated networks, and hospitals in turnaround situations. She may be reached at barbara.letts@ge.com. Rapidly following on the heels of its oncology bundles announcement, CMS announced on July 9 a new proposed mandate for a 90-day retrospective bundled payment model. Whether providers are ready or not, the bundled payment mandate is coming. 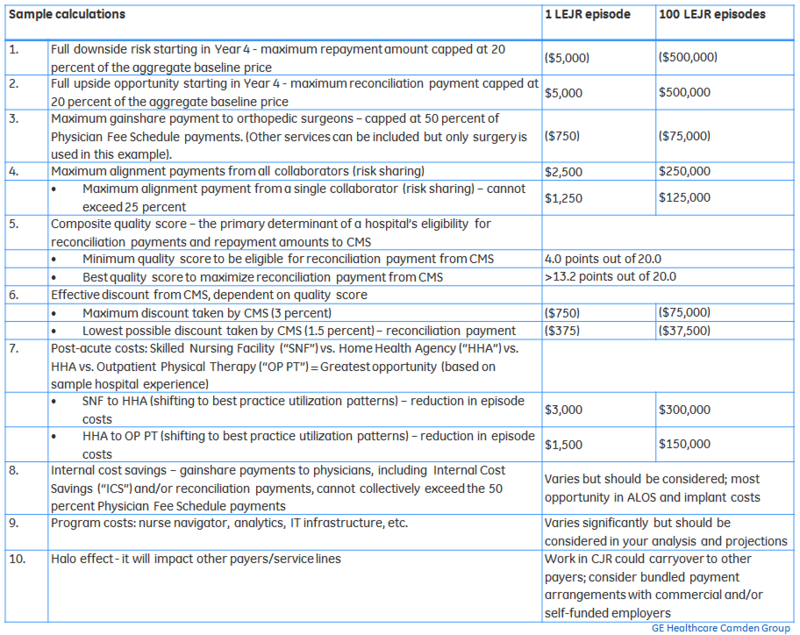 The following represents the top 10 ways for providers to plan for bundled payments under CCJR.